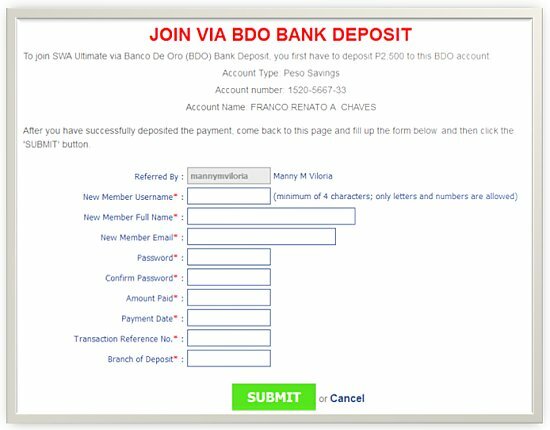 Please take note that we highly recommend depositing to BDO. If you're outside the Philippines, use Western Union and follow the instructions found on this page (click here). 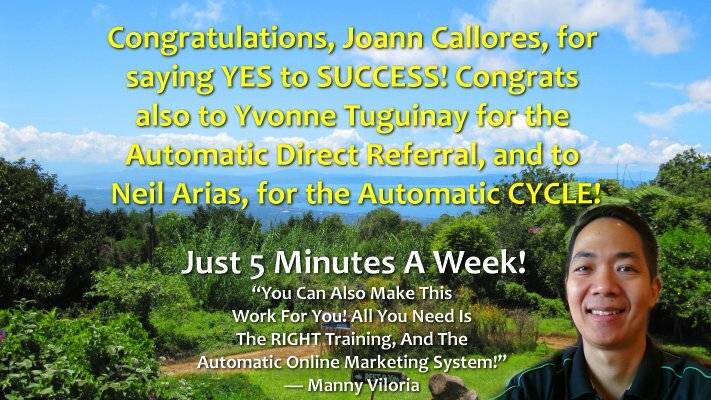 UPDATE: Francis Chaves will be moving forward with Supreme Wealth Alliance Unlimited Corporation. Please disregard the bank account info below of Supreme Wealth Alliance Philippines Inc (SWAPI). Account Name: Supreme Wealth Alliance Philippines Inc.
For those abroad who are asking what is the location of the BDO branch of account of Supreme Wealth Alliance Philippines, Inc (SWAPI), it's Evangelista - Makati. Step #2: Please scan your Western Union Receipt or BDO Bank Deposit. ...then click on the circle to the left of the appropriate choice (e.g., MoneyGram, BDO). NOTE: If you are registering more than one account, and you made a single payment or deposit, please add a letter at the end of the Transaction Reference Number. 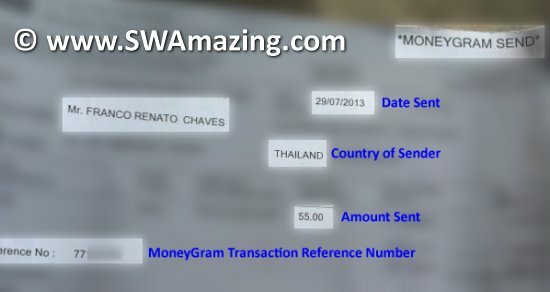 This will alert the SWA Admin that your registration is part of several registrations covered by a single payment. 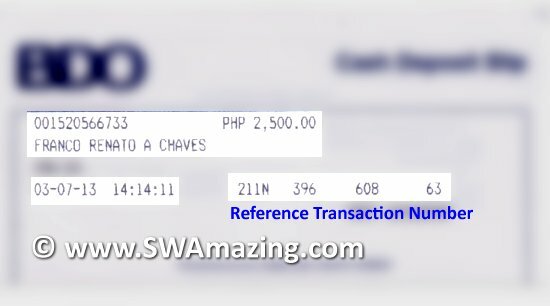 For example, if you deposited P5,000 to BDO and the reference number is 021N1234, when you register the first SWA Account please enter 021N1234A for the SWA first account's Transaction Reference Number, then 021N1234B for the second SWA account. Step #5: Cick on the SUBMIT button. Please give the SWA Admin up to 2 banking days (weekends and holidays are not counted) to activate your SWA Account. Once your SWA Account is activated, you will receive an email notifying you about the successful activation of your account. [From Manny] Hi Mark Lester! 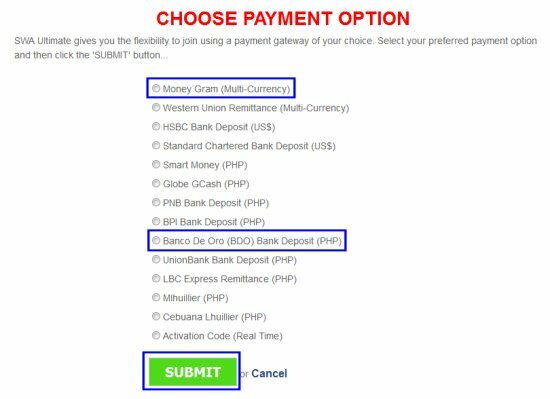 Mag deposit po muna kayo sa BDO, bago po kayo mag-register ng SWA account online. Thank you.